A high raw diet is important in the prevention of chronic diseases because it is the nature’s compounds that keep us well. Most vitamins and phytonutrients are destroyed or damaged when cooked or processed above 130 degrees – nutrients is lost. When creating the menu for Pepe’s On The Beach, health benefits AND deliciousness of raw fish was taken into account. We are sharing the goodness in the best way we know how! Fresh from the Sea, to the plate, for you. Did you know…. – Raw Salmon is packed with proteins, calcium and an entire daily dose of vitamin D – which is almost impossible to find in other foods! – Eating Salmon is beneficial in the treatment of osteoarthritis and other inflammatory joint conditions. The protein found in raw salmon improves bone density and strength. – Salmon contains a rich source of healthy Omega 3. This healthy acid does wonders for cardiovascular health, functionality of cells and reduces inflammation. Intake of fish containing Omega 3 is associated with decreased risk of depression & decreased risk of cognitive decline in older persons. – Salmon contains huge amounts of B vitamins, especially B12! Which support metabolism and energy levels. 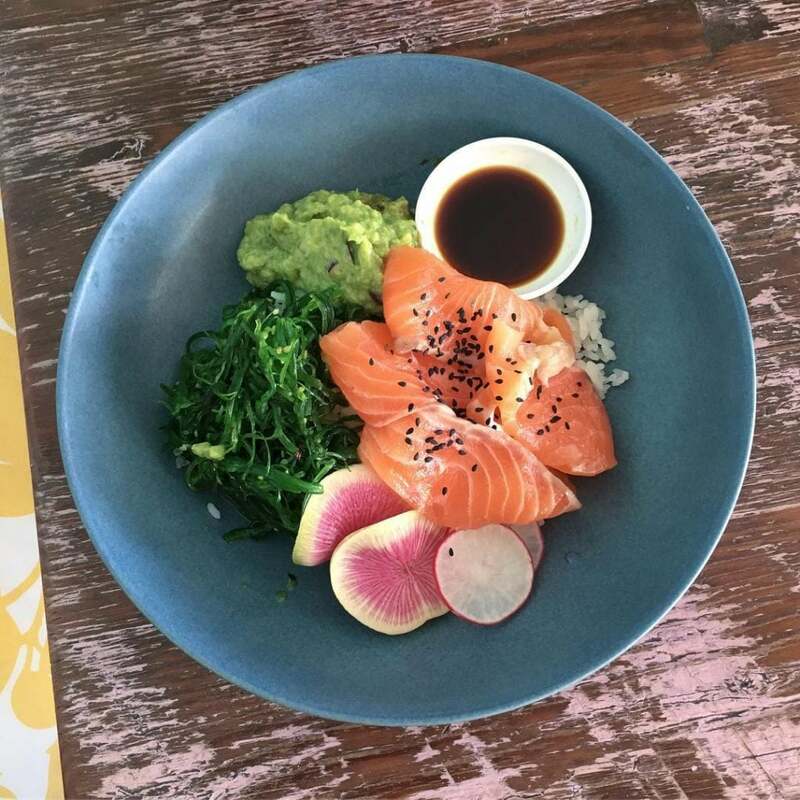 Our Cali Bowl filled with RAW Salmon, Nori Weed, Sushi Rice, Pickled Ginger, Avocado, Black Sesame & Wasabi Mayo ticks all the boxes! Come and see us On The Beach to see what we are all about.